Since Parallels Remote Application Server v16, the language of HTML5 Gateway is set to English only. Go to Farm > Themes. Double-click the theme to open Properties. Go to Appearance tab then choose Language Bar. Select the languages that will appear in the language selector on HTML5 Gateway page. 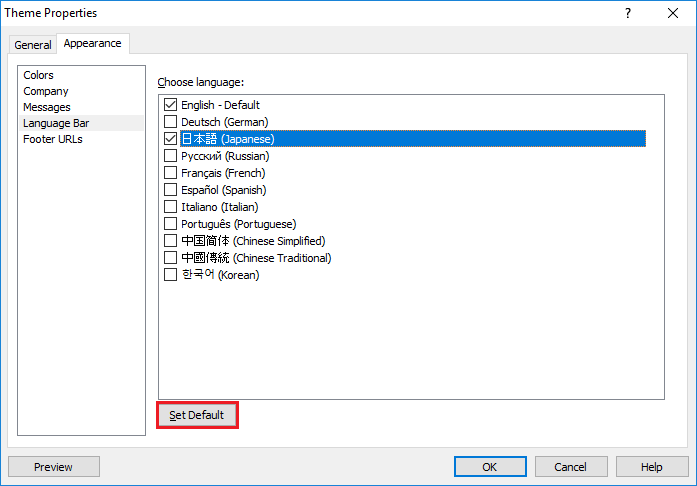 To change the default language, click and highlight the target language then click Set Default button. Click OK button to close Theme Properties then click Apply button.